Frankie actively explored what it means to be a man in our society and what kind of man he wanted to be. He set his goals high — challenging those around him to think big, too. On October 31, 2009, after attending a family party at home and taking his young cousins trick-or-treating, Frankie went to a Halloween party with a friend. Just minutes after arriving he was randomly shot multiple times — an inexplicable act of gang violence that ended Frankie’s young life. 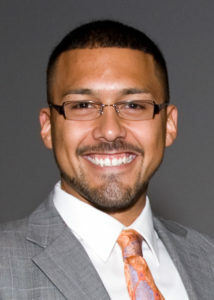 Frankie aspired to a career in politics by serving as a role model for Chicago’s Latino youth. He dedicated time outside of his courses at DePaul to be a mentor, advisor, and volunteer in social welfare and educational programs throughout Chicago and in Columbia. Frankie also had aspirations of a second career as a history teacher for Chicago Public High Schools. On June 13, 2010 Frankie would have received an honor’s degree in Political Science and Psychology from DePaul University. Frankie was convinced that he and his hero, Barack Obama were kindred spirits, grounded in principles of truth, justice, equality, service, and love. During his time at DePaul Frankie was nominated to intern at the White House. He also won the Illinois Lincoln Laureates Award: a state-wide award given to students who demonstrate excellence in academics and service with values resembling those of Abraham Lincoln. Just days after his death, Frankie would have received the award from Illinois Governor Pat Quinn. Frankie wasn’t just an idealist; he lived these values every day. Frankie strongly believed in socially responsible leadership. Frankie was also our child and he could have been yours, too. Frankie found no challenge insurmountable — he had broken all stereotypes stacked against him. There was nothing about Frankie or his family that should have put them at risk. When we see the stories of violence in our world many of us believe we are shielded from the risks of where we live, the color of our skin, our level or education or our economic status. We need to understand that victims of violence have no specific address or race — all of our young people are at risk in this city. Frankie believed he could make a difference in the world and in the short time he was here, he did. Frankie believed in people, in family, in good, and especially in the city of Chicago. Frankie hoped to create real change in the world. We cannot give up on that idea. Frankie is also survived by his other parents Siu Moy and Francisco Valencia Sr. and his siblings Victor, Christy and Stephanie.